Surprisingly enough, I talk about my (arm)pits quite a lot. I’ve always been a heavy sweater, so managing my underarm area feels like a part-time job. I feel like my friends and I are always talking about how to maintain healthy armpits and which deodorant we’re using to help the fight. I made the switch from antiperspirant to natural deodorant about 3 years ago. Sweating is the natural process of cooling and detoxifying your body. In short, it’s really good for you! By using antiperspirant regularly, you distrupt you body’s natural attempts to remove toxins, which can ultimately lead to adverse long-term health effects. It can also change the bacterial microbiome in your pits, causing an overproduction of bad bacteria. Translation: your sweat is smellier. 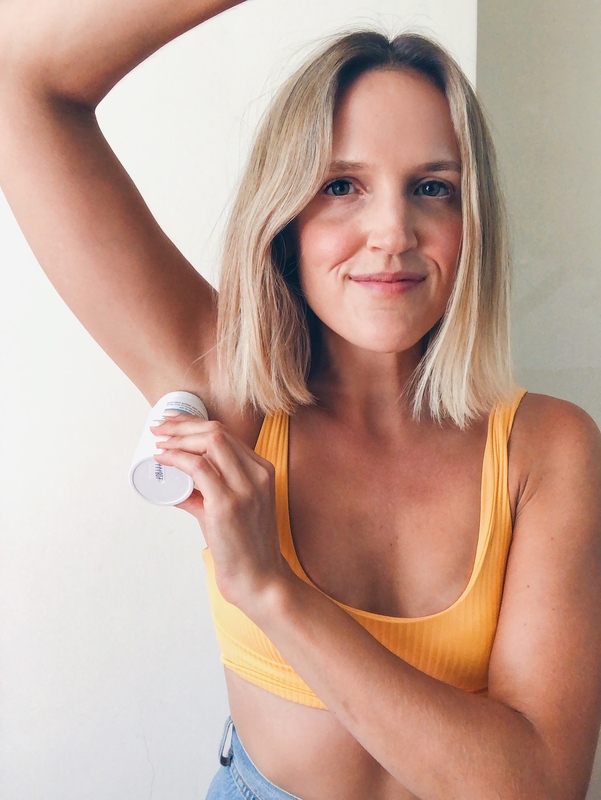 By eliminating antiperspirants from daily use, you allow your armpits to recalibrate to their neutral state. I’ve tried pretty much every single natural deodorant under the sun. After a year-long search, I landed on a brand that I liked only to find out late last year they were bought out by a large multi-national corporation with a history of testing on animals and with ties to rainforest degradation. For me, this was enough to say farewell. I have to admit, I was bummed that I had to start the search for a new natural deodorant. But luckily this time it didn’t take long! 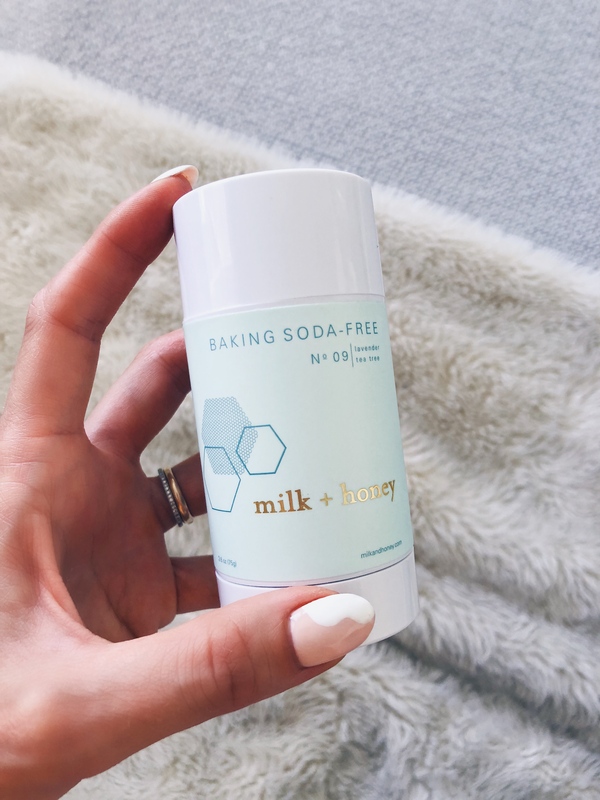 I stumbled upon milk + honey randomly, and after my first day of using their Baking Soda-Free Deodorant, I was hooked. No sweat, no smell, and I didn’t have to reapply throughout the day. I’m sensitive to baking soda (more on that below), but if you’re able to tolerate it, milk + honey also makes a Regular Strength and even an Extra Strength Deodorant. The Austin-based company is offering you guys 25% off any purchase on their site with code WU25. 1.) Wear natural fibers. There’s nothing that will make you sweat (and smell) more than unbreathable, synthetic fibers. Linen, cotton, wool and silk are all top choices. I’m also very conscious of how small the armholes are on the tops I buy. I hate feeling constricted in that area, so I almost always shop for tops that have a low-cut armhole. 2.) Drink plenty of water, and limit caffeine (especially coffee). When I was a coffee drinker, I noticed my underarm stench was wayyyyyy stronger than when I got off coffee. Something to think about. Maintaining healthy hydration has positive effects on all aspects of your skin, even your pits. 3.) Exfoliate. I do it every other day. My bath bar has built in exfoliation, but you could use a dry brush, a loofa or this luxurious body polish. Exfoliating your pits will leave them feeling soft, smooth and clean. 4.) Apply a small amount of apple cider vinegar, lemon juice or witch hazel to your armpits in order to neutralize bad bacteria. Let air dry. These are all natural antiseptics and sterilizers, so can be very helpful in combating underarm bacteria. 5.) Let them breath and dry out post shower. Before running to apply your deodorant, make sure your pits are completely dry. Bacteria loooooves moisture, so ensuring your underarms are dry before applying deod will keep them fresher for longer. 6.) Less is more. I know the tendency is to slather on the deodorant (or at least that’s my tendency…), but one good swipe of the deodorant bar up or down will do the trick. 7.) Try a clay mask for your pits. Doing this once a week or once every couple of weeks can help draw out impurities and detox your underarm skin. You can use the same clay mask you’d use on your face. Leave on for 10ish minutes and rinse off in the shower. 8.) Food affects all. A diet rich in alkalizing foods will help keep underarm stench away. Incorporate leafy greens and try supplementing with wheatgrass, or my personal fave, chlorella. Some foods that can contribute to a stronger underarm smell: animal proteins, garlic, onions, fermented foods and curries. Not that you should change up your diet at all, but on days you notice your underarm stench a bit stronger than normal, it could have to do with what you ate for dinner the night before. 9.) If you’re skin gets irritated from natural deodorant, give a baking soda-free deod a try. My underarms cannot tolerate baking soda. After about a month or two of use, I would get a red, itchy and painful rash under my pits. Since switching to baking soda-free deodorant, I’ve never had a rash. 10.) Remember: it’s good to sweat! The idea isn’t to stop sweating all together. We just want to cut down on the smell associated with sweating by detoxing our pits. 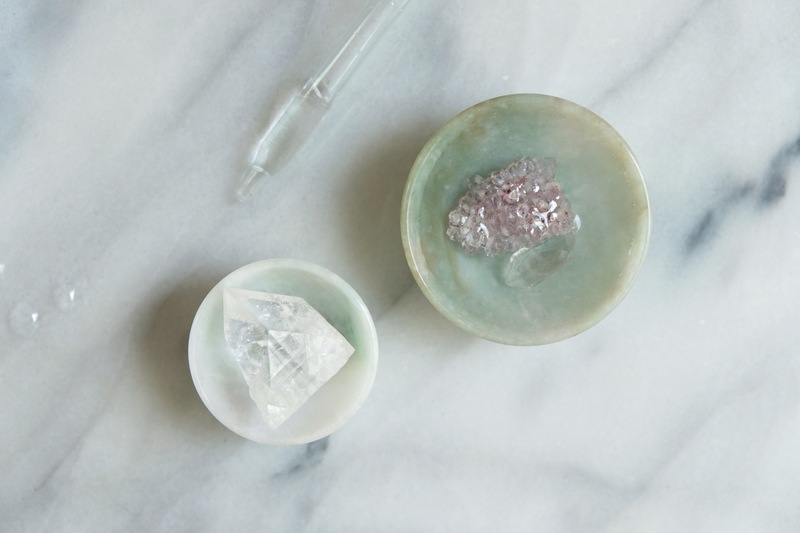 Give your pits a break from deodorant once and while. Let them breathe and do their thing. You guys! I’m so excited to share this post with you. It’s been a long time coming, and here it finally is! 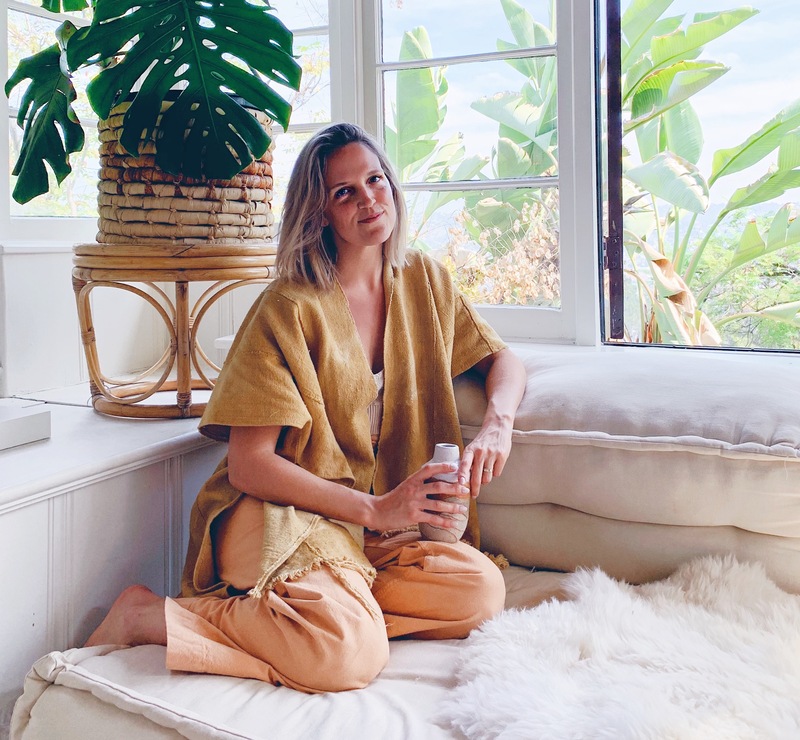 A little about my journey toward using non-toxic products. 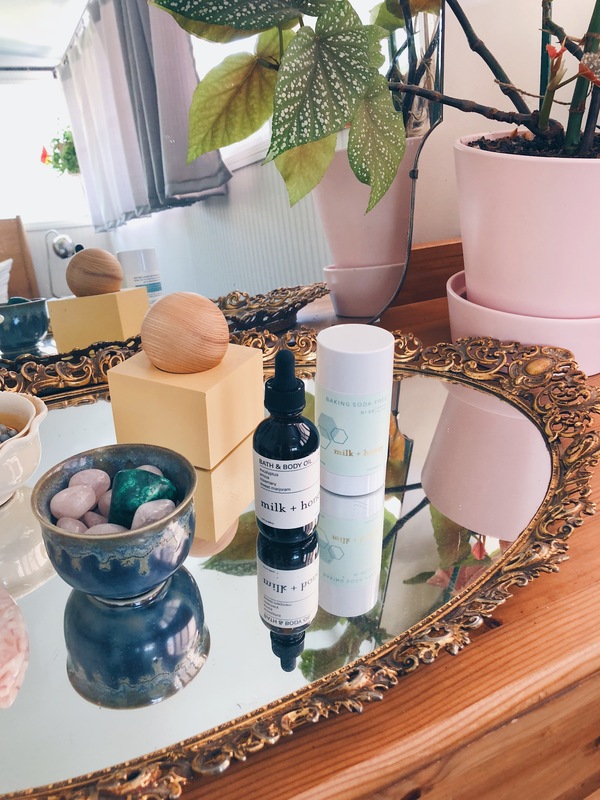 I started using some natural products in my early 20s for environmental and hormonal reasons. This was around the same time that I started to notice how much plastic we use on a regular basis and was reading about how it can negatively effect our hormones. I rid my kitchen of all plastic tupperware and made an effort to not buy or use any food packaging or containers with BPA. At this time, I was also making an effort to choose environmentally friendly, non-toxic products over mainstream, chemical-laden products, but I would say I was probably only 65% on board. I was still using toxic makeup and probably a few other toxic products. Fast forward about 5 years. It was the middle of winter. It started as a small blemish/breakout around my mouth. At first, I didn’t think anything of it. Slowly, as a week past and the blemish had spread, I started to realize it wasn’t just a break out, but I didn’t know what it was. It was red, scaly, burning and itchy. I tried using apple cider vinegar, coconut oil, anything to soothe it and try to get it to minimize. As the weeks rolled on, it got worse and worse. Finally, after the breakout/rash had been there for a couple months and was covering 40% of my face, I went to see my best friend’s mom, who is a esthetician specializing in natural skincare. She thought it might be an infection of some sort and said I should go see a doctor. I made an appointment with my doctor and when I went in, she knew right away that it was perioral dermatitis. I was grateful I at least had an answer. She also said it’s fairly common among women. I agreed to a low-dose antibiotic because at that point I just wanted this nasty rash gone. Then when I got home I spent a good deal of time on the internet reading about perioral dermatitis and what natural solutions there were. Luckily for me, after some trial and error, I figured out mine was an allergic reaction to fluoride and sodium lauryl sulfate (sls). I say lucky because I was able to simply cut these ingredients out of all my skin and body care products and the rash went away. Some women who suffer from perioral dermatitis don’t have as clear of an answer to what is causing it. This diagnosis was the ultimate push to throw out my toxic makeup I sometimes wore, my toothpaste, my shampoo, basically anything that had any ingredients that could be potential irritants to my skin. I’ve always been a sensitive being in terms of allergic reactions in my body. Over the course of my life, I’ve suffered from food allergies, seasonal allergies, mold allergies, allergetic asthma and various forms of skin allergies. With each of those, I’ve always come back to treating the problem naturally. Western medicine often acts as a bandaid instead of addressing the problem head on. I’ve found herbs and natural remedies to be far more superior in eradicating the problem in most cases. I don’t like to say that I absolutely never use toxic products because that’s simply not true, and I also think labels are extremely limiting and dangerous in that way. I still get gel manicures. I dye my hair. But products I’m using on a daily basis are all natural and non-toxic. 1.) Drink LOTS of water. Like more than you think is a lot. Keeping the skin and body hydrated is essential. 2.) Avoid or cut back on alcohol, dairy and sugar. In my experience, these 3 things have strong visual effects on my skin. Alcohol dehydrates and makes fine lines and wrinkles stand out. Dairy causes me to break out. Sugar causes inflammation, making my face look tired and puffy. Not to mention, all 3 of these things are terrible for your immune system. 3.) Pamper your skin! Treat it like gold. Do face masks weekly or multiple times a week. Invest in quality products that make your skin feel good. Exfoliate! You don’t have to pay top dollar for a facial at your local spa. Just give yourself one. It’s nice to splurge on a facial once or twice a year, but take matters into your own hands and pamper your skin on a regular basis. 4.) Wear SPF and avoid the sun as much as possible. I used to bake in the sun with no sunscreen on in my early 20s. When I turned 26, something clicked in my head and I started wearing SPF and covering my head/face when I’m in the sun. I still like to enjoy the sun when I’m on a beach vacation, but I always wear sunscreen (and reapply often) and cover my face with a large sunhat. 5.) Eat clean, organic whole foods! You can’t expect to have amazing glowing skin if you’re eating a bunch of crap. If you’re already eating clean, organic, whole foods, try adding some supplements that will give your skin that extra boost. I love collagen peptides, tocos, he shou wu and astragalus, but there are so many more. Cleanser: Eminence Lemon Cleanser. I also love Dr. Haushka’s Cleansing Milk and Cleansing Cream. I usually just wash my face with a cleanser at night. In the morning, I typically wash my face with warm water and finish with several splashes of cold water. Toner: January Labs Restorive Tonic Mist and Mountain Rose Herbs Rose Geranium Hydrosol. I’m obsessed with spritzing my face. I do it like 20 times a day. The main reason I use a toner is that it balances pH, preventing the skin from becoming too dry or too oily after cleansing, and it tightens your pores. January Labs Tonic Mist also reactivates the Revitalizing Day Cream when spritzed throughout the day. Serum: Cellex-C Hydra 5 B-Complex. Hyaluronic acid is really good for treating PD. Day Cream: January Labs Revitalizing Day Cream. Night Cream: January Labs Retexturizing Night Cream. I’ve seen greater results using this line of products than any other product line I’ve ever used. Highly recommend. SPF: Suntegrity Face and Body. Body Moisturizer: Coconut oil is such an amazing moisturizer, and it’s cheap! If you’re looking for something more, I’ve recently been using Drifter Organic Body Butters, and I absolutely love them. Soap: Pre de Provence Honey Almond Soap. I’ve been using this stuff for years, and I will never, ever stop using it. It’s the absolute best. Shampoo: R+Co Color Shampoo. I only shampoo 1-2 times a week. I use Acure Dry Shampoo on days in between. I don’t condition (don’t tell my hair stylist that). Deodorant: Schmidt’s Sensitive Skin Geranium. Floss: Desert Essence Tea Tree Oil Floss. Toothpaste: Radius Coconut Oil Toothpaste Ginger Citrus. Perfume: Le Labo Gaiac 10. Makeup: As you’ve probably noticed if you’ve ever seen me, I rarely wear makeup. I use Mineral Fusion Pressed Base on my face occasionally/when I go out, Gabriel Cosmetics Mascara and Blush. 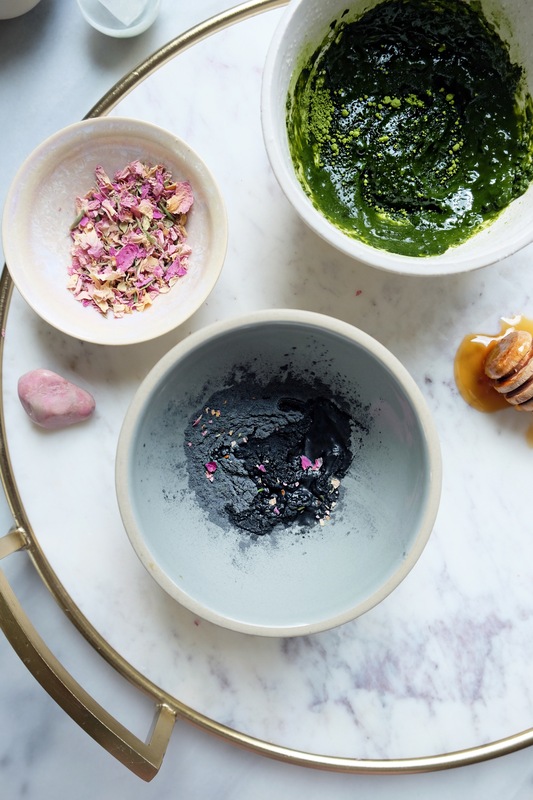 Face Masks: For the most part, I make my own inspired by the recipes in Elemental Energy. Recipes below! I’ve also been using January Labs Power Peel Exfoliant, and I love it. Mountain Rose Herbs is a great resource for buying ingredients to make your own skin care products. 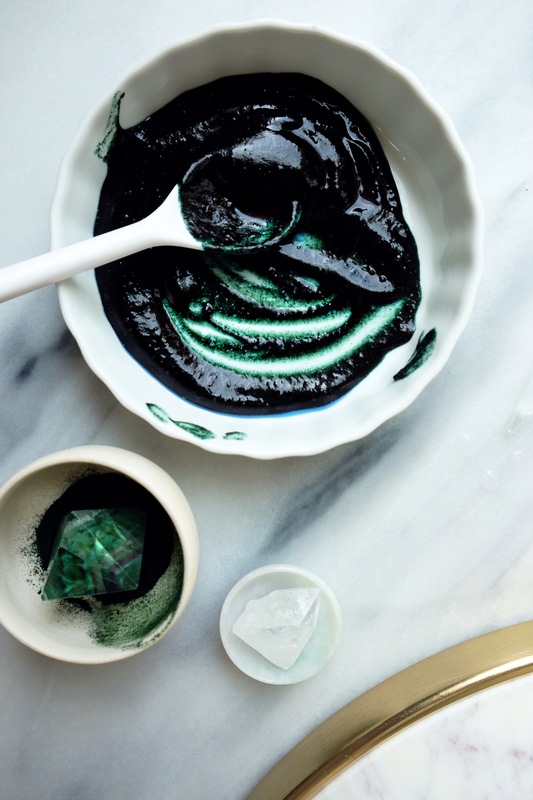 For all of these masks, mix all ingredients until well combined using a small wooden spoon. Apply to face (and neck, if desired). Let sit for 10-15 minutes then rinse face with warm water.